Average 2.75/5 out of 4 total votes. Writer/Artist Derek Laufman (Adventure Time Comics) brings his new original series to life at BOOM! Studios. Intrepid adventurers Pogo and Rex are on a quest for fame and fortune. Their discovery of a special map leads them on an epic journey through dangers, demons and old enemies. Just one problem—they’ve already lost the map. 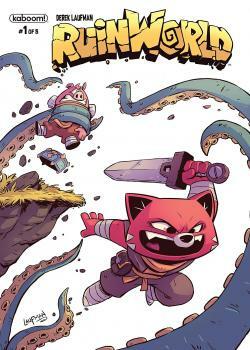 An all-ages comic about fun, friendship and screaming in the face of danger, perfect for fans of Adventure Time and The Adventure Zone.